If it’s a rite of passage into the inner sanctum of domestic soccer nerdishness to feel the need to slag off League of Ireland referees then last Friday was another step for me towards the Holy of Holies. The game against Mervue United on Friday night was noteworthy for three incidents where the officials had a major impact on the game. 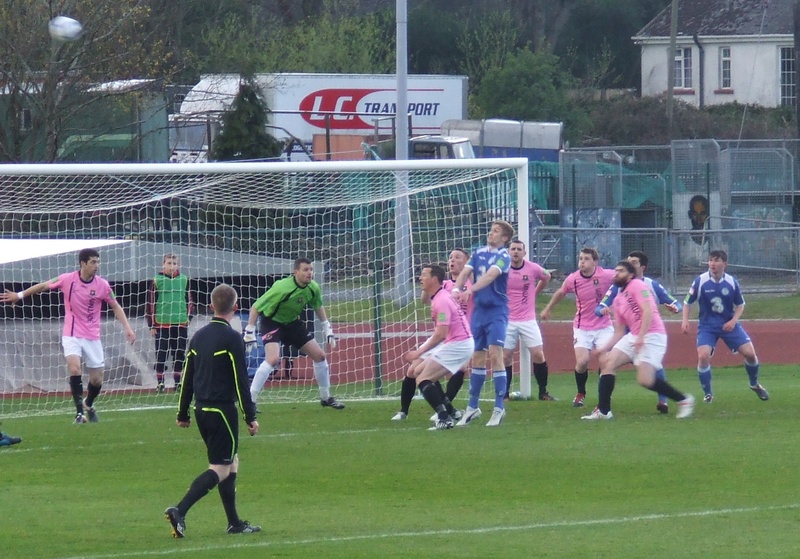 The first was the Waterford’s disallowed goal. Normally I’m a believer in waiting until the green flag is waved before celebrating a goal, or to see the ref jogging back to the halfway line in soccer parlance, so I’m going to claim that it says something that I saw nothing wrong with the effort that looked to have given Waterford the lead. However, while wondering what specifically he saw that merited a free-out in a penalty area that was littered with pulling and dragging, I’m inclined to think that it’s likely the referee did see something that was noteworthy enough to chalk off the goal. Then there was the sending-off. In real time Seamus Long’s tackle didn’t immediately strike me as red card-worthy, but I have seen them given so wasn’t too surprised when the ref flashed red, even if it wasn’t instantly obvious that that was the colour of the card. Again, a decision that wouldn’t cause the ref Keith Callanan to lose any sleep over. It was the decision immediately before the red card, and one that created the circumstances for the dismissal, that would leave you scratching your head about what goes through the minds of League of Ireland officials. Etanda Nkololo, scorer of the goal seconds after our disallowed effort that gave Mervue the lead, had gone down in typical soccer player taken-out-by-a-sniper fashion on the right wing, something that did not elicit jeers of derision because there was no point writhing in agony if you were off the field of play. Then to my amazement – and I was looking right at it, sensing that something quite wrong was unfolding – the fourth official shepherded Nkololo back on to the field of play while Mervue were on the attack. Suddenly Waterford found themselves having to defend a player who effectively had appeared from nowhere, and it was directly from here that Long lunged in to produce the red card. Now, it’s probable that there was nothing strictly speaking wrong with what the fourth official did, no ‘law’ governing the re-entry of injured (ha!) players back onto the field of play. On the other hand, how often do you see referees behaving like Napoleon when ostentatiously marshalling players onto the pitch? It can be mildly irritating when a player is left loitering on the sideline while the play ebbs and flows around him, but it is surely preferable to what happened here. My wife’s driving instructor imparted unto her an iron rule of motoring: if your actions cause another vehicle to change speed or direction, then you were in the wrong. Much the same could be said of referring. The actions of the fourth official put Waterford on the back foot and it said much that Paul O’Brien, to his immense credit, made no comment to the referee while firmly shaking his hand but had a mild dispute with the fourth official over what had transpired. Not decking the official for his shoulder-shrugging response was a display of Herculean restraint. The whole spread of the evening’s events made me ponder on what makes a good referee. The job as advertised is literally impossible. You’re expected to judge everything that happens on the field of play, yet there’s no way you can see everything that happens even with the aid of the extra eyes of your officials. Referees compensate for this by anticipating. A former work colleague was a prominent referee in the Waterford junior leagues for many years, and I asked a mutual colleague whether he had been any good. As the former refereeing colleague was a crabby character I didn’t necessarily expect a positive response so the story told was high praise indeed. They were both involved in their respective roles during a match and the ball broke quickly up the field just as two players were about to tangle. The playing colleague was looking right at it but the referee colleague had no reason to be looking anywhere but at the ball. Still, a sixth sense/experience/both told him something dastardly was about to happen and he turned away from the direction of the ball towards the two players just in time to see one flatten the other with a haymaker. You can guess what happened next. Great refereeing. But it spoke of a cost-benefit analysis of the situation that must be made with lightning speed. What if he had looked away, nothing happened with the developing incident, and at the other end a defender handled the ball to prevent the attacker getting through on goal? To my mind, referees fix in their mind what is about to happen before it happens. Thus AN Referee-Colleague was able to visualise the punch before it happened. On the flip side, Keith Callanan saw a foul in the Mervue box before the cross went in a Waterford attacker duly obliged. He saw a red card tackle from Seamus Long before it happened, an attitude that was reinforced by his sending-off of Longford’s Willo McDonagh two weeks ago – hey, Waterford can’t say I’m harsh, didn’t I whip out the red card in their favour on that occasion? And he didn’t feel the need to question the wacky behaviour of his fourth official in causing the Waterford jalopy to change speed/direction because you would never, ever engage in a disagreement with one of your colleagues in front of the clowns who would happily change speed/direction if ever they saw you crossing the road. Forget about the rules, good refereeing is a form of witchcraft. The sooner we introduce the magic of television into our games, the better. This entry was posted in Soccer, Waterford United and tagged League of Ireland, Mervue United, RSC on 09/10/2012 by deiseach. 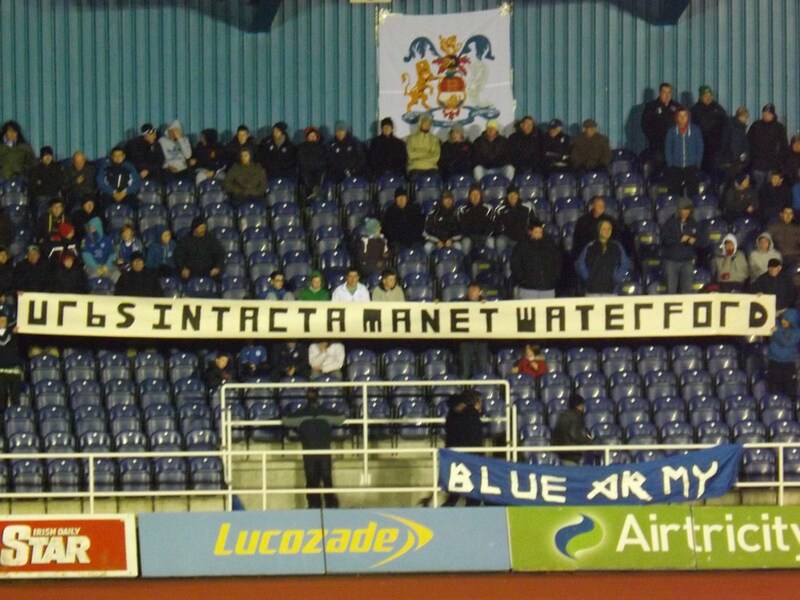 It’s been a while since I visited the topic of Waterford United (it’s a recurring theme), and while I can say with an utterly straight face that I’ve been following their efforts as they have roared up the table, it doesn’t excuse not going to the games. Summer soccer was meant to make going to matches more attractive, and at the time of writing an evening in the RSC looks like a pleasant prospect, but whoever came up with the idea didn’t twig that punters have a lot more going on in the summer months. What with weddings (one of which put the kibosh on me going to the Munster final), jaunts abroad and guests from abroad, there always seems to be something going on. And what a run it has been. Their win over Longford Town last weekend was their seventh on the bounce and has a potential long-term significance which we’ll get back to in a moment. After the debacle against Wexford Youths on the opening day of the season I opined that “there was nothing in the second half of last season to suggest Paul O’Brien is a huge improvement on Stephen Henderson”. Oh me of little faith. Speaking to an RSC regular after the bounce-back win over Limerick the following week, his considered opinion was that while doubts existed over O’Brien’s ability to manage a squad of unruly yahoos, there was no question over his tactical nous and his faith in the latter looks to have been justified. realising that managers can make a difference, especially on tight budgets. Unfortunately there’s only so much you can do and while my prediction about the likelihood of him making a go of it as Blues manager may have been hopelessly wrong, my prediction about the idiocy of the eight-team First Division looks like it is coming to pass. With only eight teams in the division, the chances of overhauling runaway leaders like Limerick are practically impossible as they keep on out-muscling the minnows. Limerick have only lost four games all season and incredibly three of them have been against the Blues. We could win all our remaining games, including the fourth game against Limerick at Jackman Park, and it is likely we’ll still end up finishing behind them. It’s not Limerick’s fault, they can only play what’s put in front of them and we weren’t able to do the same to those teams on a regular basis, nor is it the fault of diddy teams (© Scottish soccer pundits) who are doing the FAI a favour by holding it together, which is more than can be said for Monaghan United. But such a lopsided league is not fit for purpose. You wonder whether the remainder of the League season is a phony war as the FAI prepare to address the current situation which only leaves a seven team-First Division for next season . . . So Waterford find themselves facing up to the prospect of another play-off. In the 1960’s Waterford’s great enemy was Shamrock Rovers. Now it’s play-offs. The thought of a play-off against Longford, surely the most likely outcome at this stage of the season, will be bringing Blues fans out in a cold sweat. There is one reason to be cheerful, and that goes back to that win over Longford last week. When the Blues lost to Monaghan two seasons ago, it was on the back of six straight defeats to them. Longford were approaching similar Jonah-like proportions, but hopefully that particular boil has now been lanced. 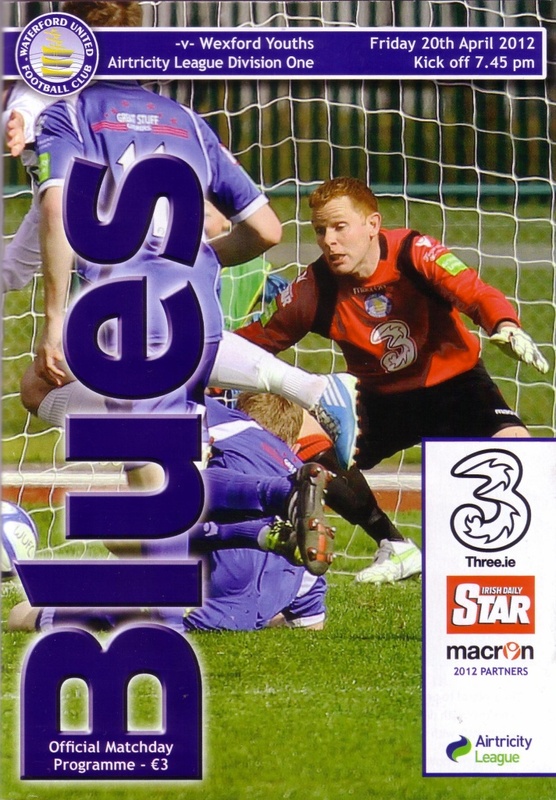 Then we’ll have another play-off, most likely against UCD who made mincemeat of the Blues the last time I saw them play. Ugh. They sure don’t make life easy for you, do they? We’ll probably be none the wiser about Waterford’s ultimate fate this season, but it’ll beat the Olympics opening ceremony hands down. This entry was posted in Soccer, Waterford United and tagged League of Ireland, RSC on 27/07/2012 by deiseach. A few weeks back I wrote about the underwhelming nature of the 2012 League of Ireland First Division, and as if to prove the point along come Limerick FC. This was the eleventh time I’ve graced the RSC with my presence for a proper match since the notorious Ipswich game back in 2009, and it’s the fourth time Limerick have been the visitors. It’s no disrepect to Limerick . . . who am I kidding, I’m going to be disrespectful to Limerick. It’s impossible to get excited about their visit, and when you consider that they’re the warm favourites to win the Division it shows what a drudge of a season it could be. So it was just as well that the fare on the pitch wasn’t that bad. Limerick had plenty of flicks and neat touches, and there were several horrible moments where a red-and-white shirt would scoot past his Blue-clad opponent with the greatest of ease. 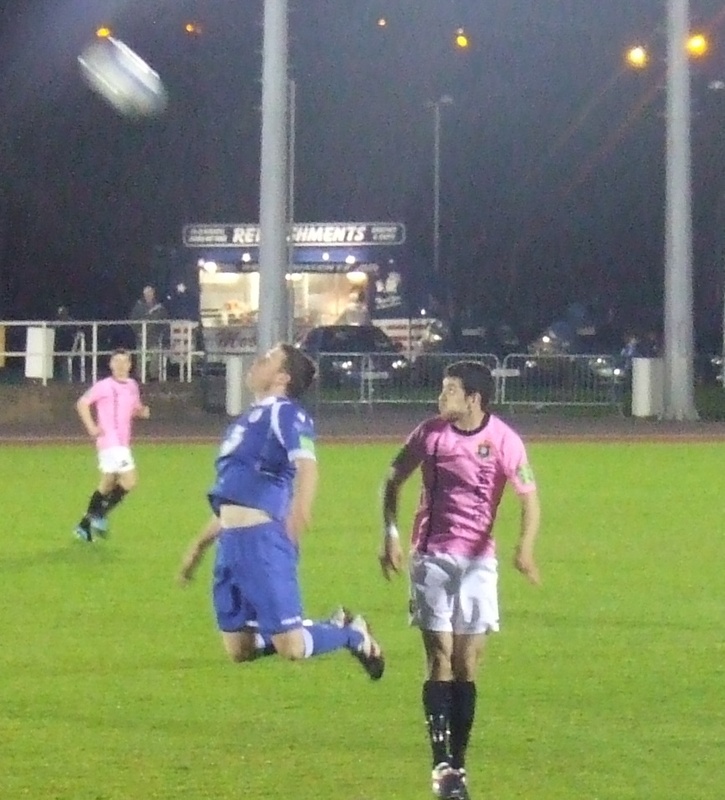 But the Blues were keeping it tight and there was no aimless hoofing of the ball out of defence. Therefore it wasn’t that much of a surprise when Waterford, not long after hoots of delight at our first shot on target of the season, contrived to take the lead. A corner was cleared as far as Who-Are-Ya who kept his shot down and on target and when it ricocheted up to Willie John Kiely about six inches out he just managed to squeeze it in via the crossbar. Human nature being what it is, the gaps between the japes in the stands got longer and longer as the feeling that a good performance would be enough began to be replaced with the feeling that, well, we’d like to get a result from this one. So when just before Kiely’s goal a Limerick player headed an an inswinging free wide when if he had left it the ball would have sailed straight there was lots of hysterical laughter among the faithful. When a combination of goalkeeper Packie Holden and a defender on the line contrived to keep a point-blank shot out on the stroke of half-time, there was a lot less jollity. Time was healing the Wexford wound. But Waterford were riding their luck, and a few early substitutions looked to have changed the game for Limerick. A beautiful move led to a shot that crashed off the bar. Another move saw a Limerick forward head the ball over the bar from the middle of the goal with no-one within touching distance. Getting away with those chances, you began to dream that it might be one of those nights, but those hopes were snuffed out about midway through the half, an excellent free finally being greeted with a half-decent header for an equaliser. The Blues were out on their feet at this point, maintaining their iron shape taking a lot out of them. It seemed that Paul O’Brien’s reluctance to tinker with the team was because he didn’t want to upset the balance that had proven such a quantum leap forward on the previous effort. Even at the time this made sense so it was a surprise when after another woodwork-shuddering effort from Limerick he brought on another forward in the shape of Seán Maguire. It would have made sense had it been a simple swap for Kiely, but it was surely folly to bring on a forward to protect a point. This is an after-the-fact observation because events happened so quickly that you wouldn’t have had time to formulate such a thought. Maguire was barely on the pitch a couple of minutes when he raced onto a superb through-ball, rounded the goalkeeper with all the elan of a veteran and slotted the ball to the net. What a wonderful shock, and suddenly the only folly seemed to be Pat Scully’s lucky-dip treatment of substitutions. It was fine to treat formations with such cavalier disregard when you were on top, trying different combinations of forwards to see what works throughout the season. Now that they had to chase the game, Limerick were bereft. There was only one winner in the last ten minutes, Maguire nearly contributing to a third when he found himself part of a three-on-one attack but opting to put one of his team-mates in when a more experienced striker would have been selfish and put his head down. Never mind though, in injury time the bouyed-up Blues rampaged into the box and Kiely was able to turn like an oil tanker on a sixpence and get that third goal. What a great night. The Blues were fortunate. Had Limerick made their dominance in the third quarter count, had either of their efforts against the woodwork gone in, had the goalie and defender not contrived to keep a certain goal out late in the first half (and Limerick were convinced it had crossed the line; it’s unlikely goal-line technology will ever extend to the RSC) then it would have been a different game. But when you think about where the Blues have come from, with a close season exodus to Cork – nice one, Drogs! – and That Result against Wexford, it was marvellous to see them completely overturn those low expectations in the course of ninety entertaining minutes. Play like this against teams not as good as Limerick throughout the season and it could be great year. Expect to lose to SD Galway next week. This entry was posted in Match Reports, Waterford United and tagged League of Ireland, Limerick FC, RSC on 10/03/2012 by deiseach. This entry was posted in Soccer, Waterford gallery, Waterford United and tagged League of Ireland, Limerick FC, RSC on 10/03/2012 by deiseach.